Every spring the meadow at Chautauqua Park will fill with a wide variety of wildflowers. 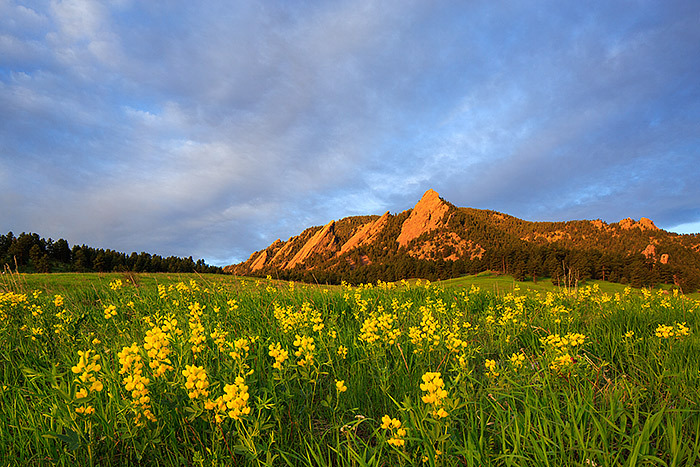 In May, Chautauqua Meadow is host to brilliant displays of bright yellow Golden Banner. Nicknamed 'scrambled eggs', the yellow patches of Golden Banner make a spectacular companion to the famous Flatirons formations that Boulder, Colorado is so well known for. Photo © copyright by Thomas Mangan.